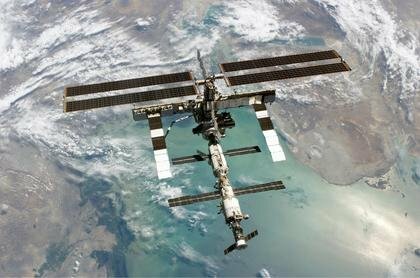 October 6, 2016 – The Center for the Advancement of Science in Space (CASIS) and the National Center for Advancing Translational Sciences (NCATS), part of the National Institutes of Health (NIH), have announced a funding opportunity focused on human physiology and disease onboard the International Space Station (ISS) U.S. National Laboratory. Data from this research — which will feature “tissue chips” (or “organs-on-chips”) — will help scientists develop and advance novel technologies to improve human health. This announcement is part of a four-year collaboration through which NCATS will provide up to $12 million in funding to use tissue chip technology for translational research onboard the ISS National Laboratory for the benefit of human health on Earth. NCATS released the funding opportunity to solicit applications through its Tissue Chip for Drug Screening program for research on microphysiological systems using the ISS National Lab. Advancements in bioengineering have enabled the manufacture of microphysiological systems representing functional units of an organ, which replicate the physical and biochemical environment in tissues. In parallel, recent developments in stem cell technology now make it possible to cultivate tissues from humans with specific genotypes and/or disease phenotypes. Advancing this research onboard the ISS National Lab could accelerate the discovery of molecular mechanisms that underlie a range of common human disorders, as well as improve understanding of therapeutic targets and treatments in a reduced fluid shear, microgravity environment that recapitulates cellular and tissue 3-D structures on Earth. This partnership comes on the heels of a recent CASIS award announcement focused on organs-on-chips research. CASIS is the nonprofit organization responsible for managing and promoting research onboard the ISS National Lab. NCATS was established in fiscal year 2012 to transform the translational science process to get more treatments to more patients more quickly. Through this funding opportunity, CASIS and NASA will facilitate on-orbit access to the ISS National Lab, and NCATS will fund the selected projects to advance fundamental science and engineering knowledge. CASIS and NCATS hope to encourage investigators with expertise in materials science, microfabrication, microfluidics, universal media, stem cell technology, tissue engineering, disease modeling, and developing spaceflight experiments for the ISS National Lab to consider applying for funding. All proposals must be submitted by December 15, 2016.